Full cradle drawer suspension with nylon rollers for smooth, quiet drawer action. Drawers open fully to provide easy access to entire drawer contents. High drawer sides eliminate the need for hangrails. 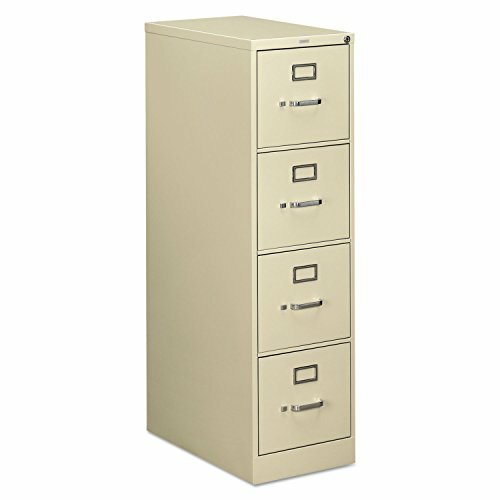 An adjustable wire follower in each drawer keeps files upright and neat. HON amp;quot;One Keyamp;quot; core removable lock installed. Color: Putty Overall Width: 15amp;quot; Overall Depth: 25amp;quot; Overall Height: 52amp;quot;.